In my classroom your child will read a variety of engaging texts. Your child will become a life long learner and reader after being in my ELA classroom. 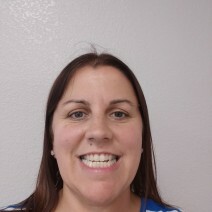 Welcome to my page I am your 6th grade student’s reading and writing teacher here at Cheatham. I love to help your child work on their reading skills and learn new strategies while here in my classroom. I also love to help your child grow into an independent reader and writer through various activities while they are in my ELA classroom this school year. Welcome to the new 2018-2019 School year!! !